Dedicated to bringing the finest handmade Japanese knives to the world. 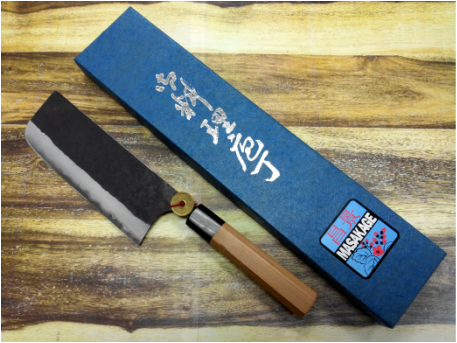 Masakage knives are designed by chefs, handmade by Master Blacksmiths and hand sharpened to give you the sharpest knife for your kitchen. Knives to fall in love with. 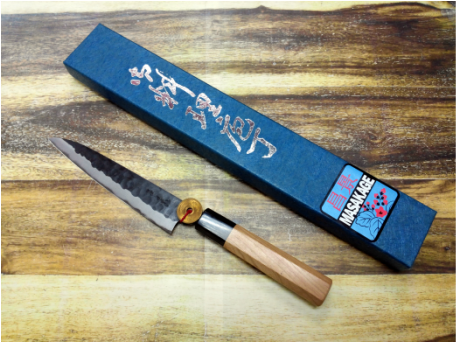 Masakage's main goal is to offer amazing hand crafted Japanese knives. Our knives stay sharper longer than commonly available knives because our famed blacksmiths use harder steels. 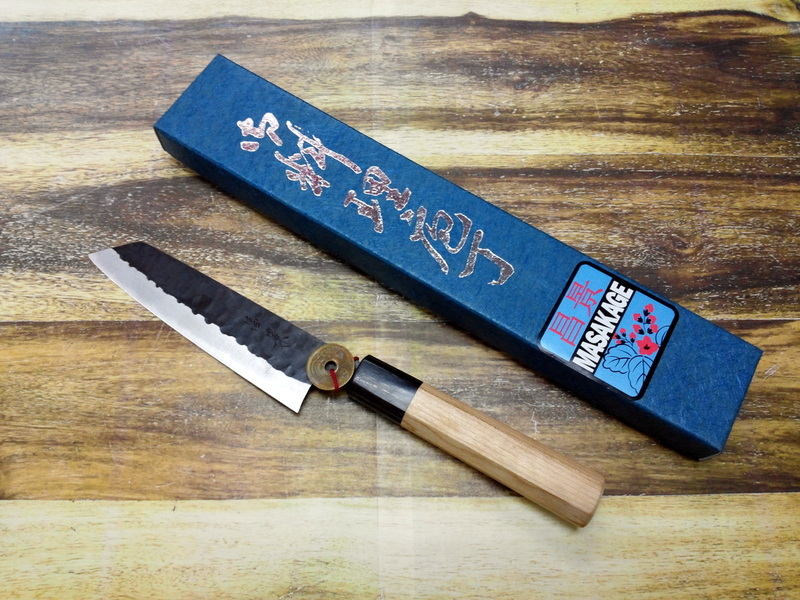 All Masakge knives are hand sharpened by Takayuki Shibata san, one of the best professional knife sharpeners in Japan, and are probably sharper than anything you've used before. We strive to make all Masakage knives beautiful. You are allowed to be seduced by beautiful kitchen tools. The handles are set back a bit further from the handle to maximize comfortability a claw or pinch grip like chefs use. 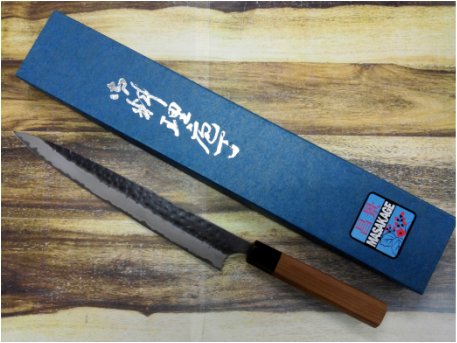 Our Nakiri blades are slightly taller than standard for ease of use, to accommodate many sharpening over the life of the knife and to give a bit of extra room for scooping vegetables form the cutting board. "Making knives is delicate work with many considerations." 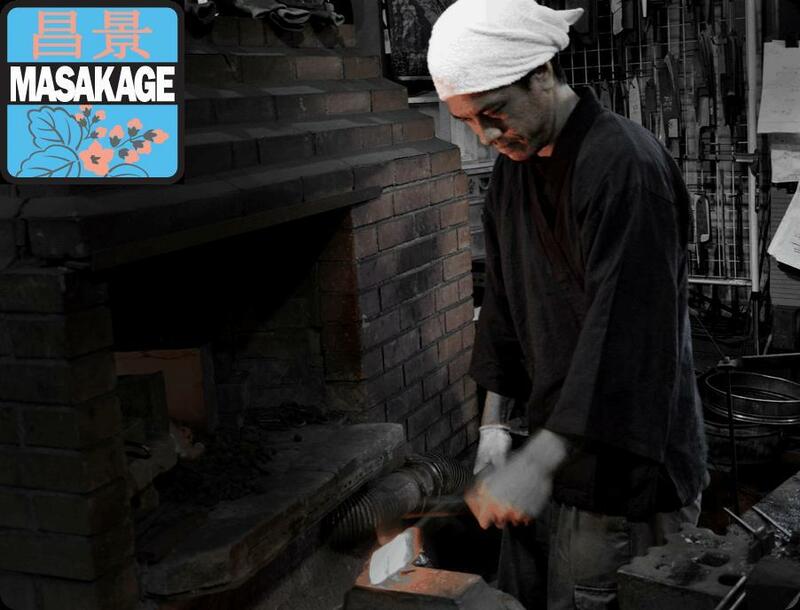 Master Blacksmith Hiroshi Kato, make of Masakage Japanese Chef Knives, one of the team bringing you the sharpest, most exquisite knives for your kitchen. In 1935 Hiroshi Kato san's father became independent from his Sensei. After finishing high school Kato san began his apprenticeship under his father. It's amazing that after over 50 years as a knife maker he's still inspired by thinking of people cooking with his knives. He always considers balance when hammer the steel, keeping in mind where a knife needs to be thin and where it needs to be strong. 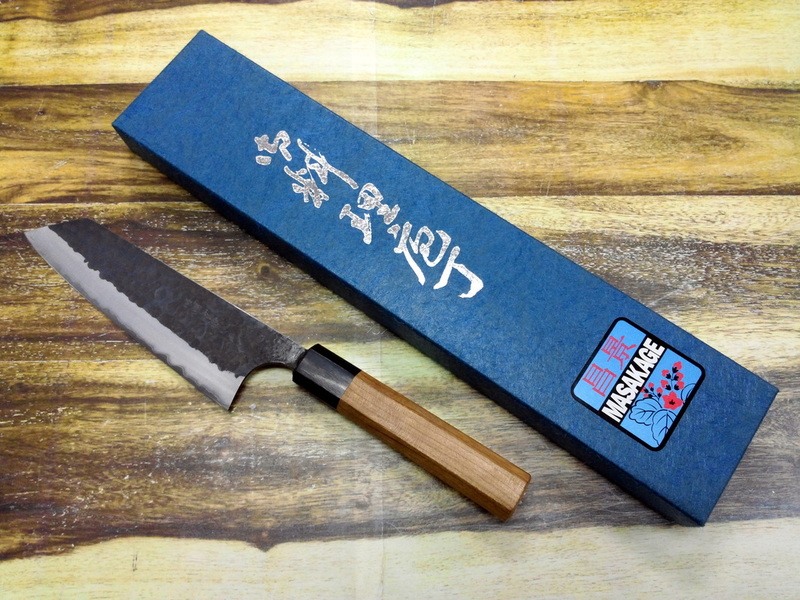 Masakage Koishi knives are handmade with carbon steel and clad with stainless steel. This is a great way to make a knife as you get all the performance of carbon steel (a very long lived edge, ease of sharpening and a silkiness when cutting) while drastically reducing the risk of tarnishing. 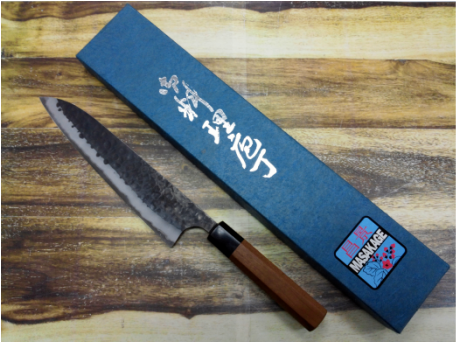 The cutting edge, made with Aogami Super, means that Koishi knives will stay sharp longer than anything else in the Masakage line-up. These knives have been named Koishi (pebbles) as the tsuchime (hammered) finish gives the impression of river pebbles. 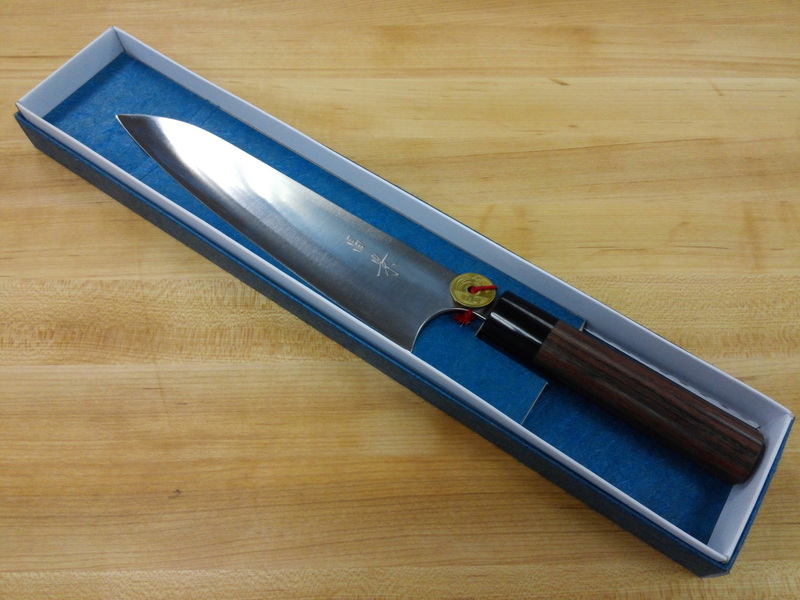 Paired with the American Cherry wood octagon handle the overall balance and feel is what chefs desire. Elegant, clean and understated is the best way to describe this collection. Hikari means 'shiny' and is also the name of one of the fastest Shinkansen (bullet train) services. These knives are hammer forged with VG10 stainless steel and given a great polish after heat treating. The elegant rose wood handle paired with the clean polished blade makes a slick looking knife.